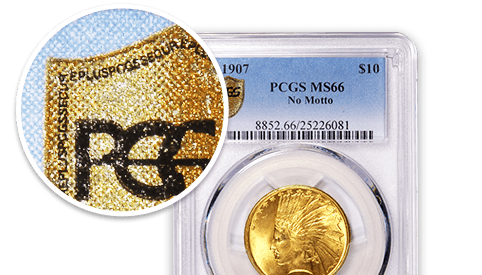 PCGS has once again raised the bar for numismatic security, creating a holder that is virtually impossible to replicate. 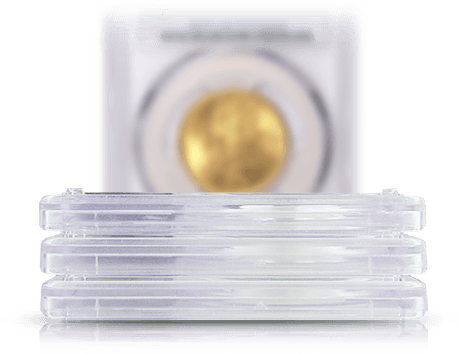 The PCGS holder is built with covert and overt security features, and enables collectors to readily verify the authenticity of the holder. 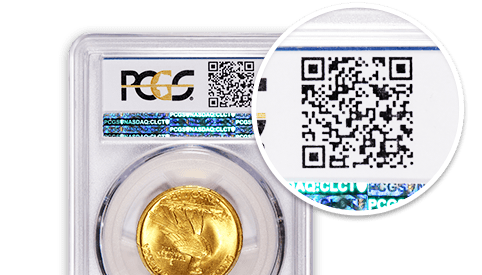 The PCGS holder features reformulated plastic and a new design that creates a much stronger weld. The result is a holder that is more difficult to chip, holds up better to drops, and more readily reveals tampering. Look Closely - this is no ordinary shield. 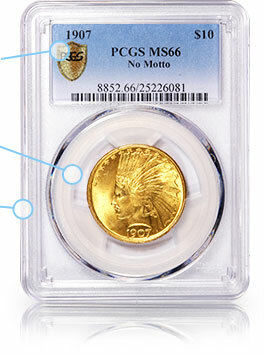 Microtext makes the PCGS Gold Shield uniquely secure. Scan the Quick Response code using your mobile device to verify authenticity on PCGS Cert Verification. 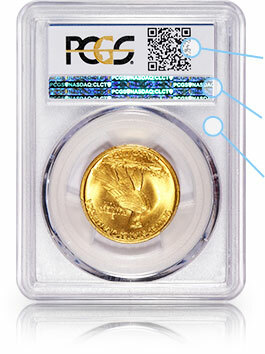 All PCGS holders are formed using a specially engineered plastic that contains an inert additive. This additive is detectable only by a hand-held reader developed exclusively for PCGS. These readers have been provided to select PCGS Authorized Dealers to aid counterfeit detection in the marketplace. Collectors Club members can upgrade to the Gold Shield Security holder for only $17 for Secure Reholder service level. If you are not a Collectors Club member, gain direct submission privileges in order to upgrade the PCGS coins in your collection. 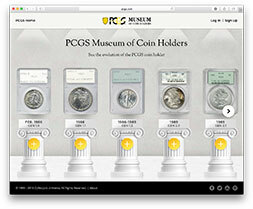 Learn more about the history of the PCGS holder.